Need a helping hand at the dinner table while you're on chef duty? 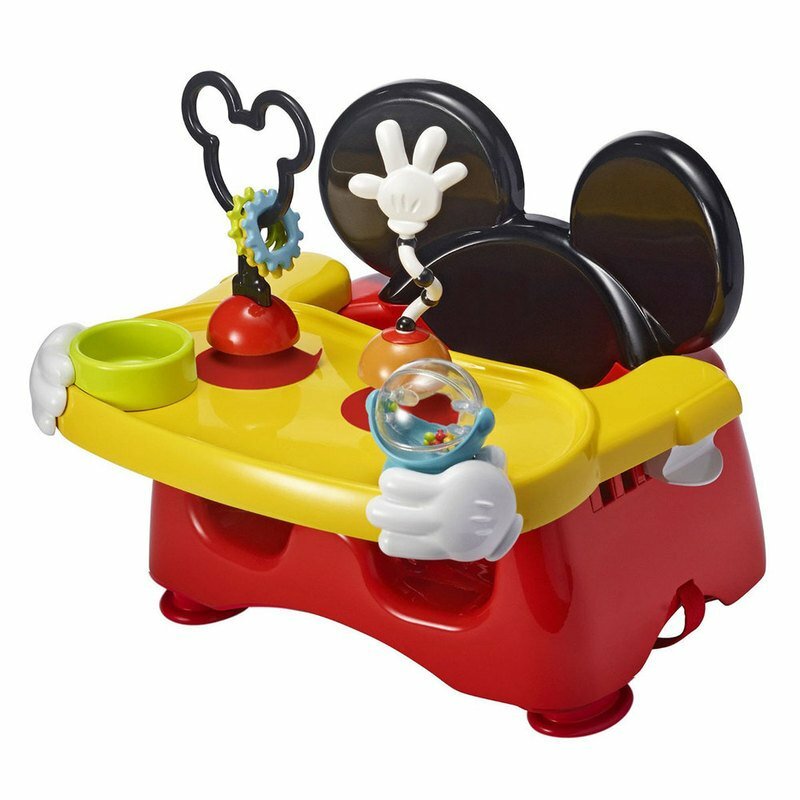 The adjustable Disney Baby Helping Hands Feeding & Activity Seat promises mealtime fun and a nice distraction for your little one. The hands are designed to hold a cup or the included roller ball, while the spring hand delivers jiggly, giggly action. The adjustable play and feeding tray offers 3 positions, and the 3-point harness ensures Baby stays put even at her wriggliest. Seat attaches to most chairs and height is adjustable for perfect placement at the table so the whole family can enjoy a meal together (even if the food ends up on the floor...or wall). Plus, there's storage in the back for quick and easy access to bibs and wipes.